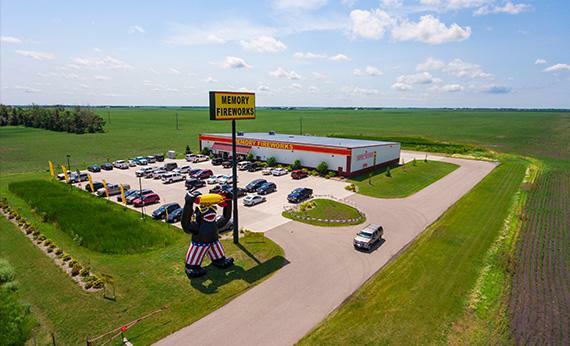 Memory Fireworks has several locations with access for trucks, campers and other large vehicles. The Horace location south of Fargo, Grand Forks and the North Bismarck location all have large parking lots. Horace and North Bismarck are open year round by appointment for out of state residents. If you are a truck driver and need some fireworks contact us and we will help you out.